We’re organizing a networking event in Lisbon on November 11th. At the event, you’ll have the opportunity to connect with other Toptalers from all over the world, share experiences, and have some fun while enjoying good company. Join us at Cervetoria Craft Beer Pub, starting from 8:00 PM. 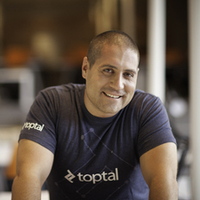 It will be a great opportunity to meet fellow Toptalers, and if you’re not yet familiar with Toptal, this is the perfect place to learn more about it from Predrag Pedro Gajic, Technical Sourcer at Toptal. Please RSVP on this page to give us an accurate head count. For questions regarding this event, please contact the event organizer, Predrag Pedro Gajic.